Size of this preview: 800 × 543 pixels. Other resolutions: 320 × 217 pixels | 982 × 667 pixels. 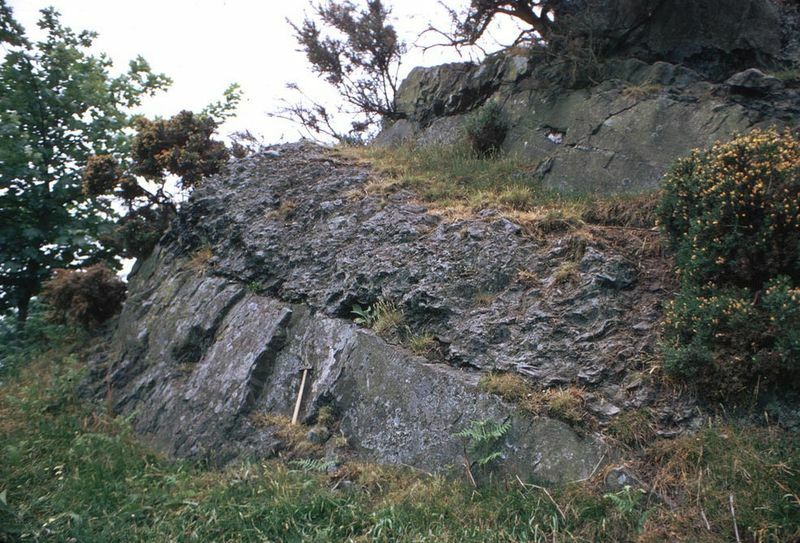 Scarp at Cynant Isaf, NNW of Lanfair Talhaiarn. Elwy Group: (scanicus Zone or above). 'Cynant Beds' interbedded sandstones and disturbed beds. current 16:30, 5 June 2014 982 × 667 (209 KB) Dbk (Talk | contribs) Scarp at Cynant Isaf, NNW of Lanfair Talhaiarn. Elwy Group: (scanicus Zone or above). 'Cynant Beds' interbedded sandstones and disturbed beds. This page was last modified on 5 June 2014, at 16:30.